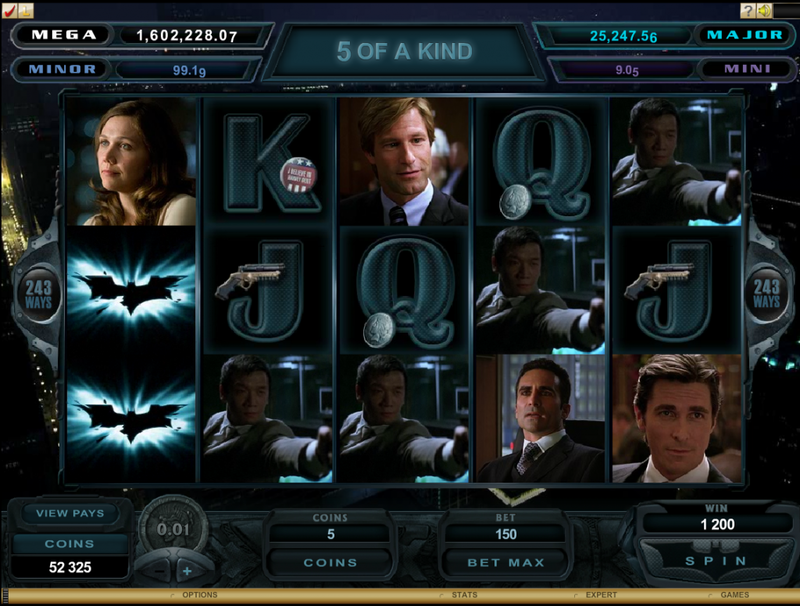 The Dark Knight is a 5-reel 243 ways to win progressive jackpot game based on 2008 movie which became the 3rd highest grossing US movie of all time. The progressive jackpot that this slot harbours has no less than four tiers with four whopping amounts to be won, each triggered totally at random. Microgaming claims that the minimum jackpot for the Mega Progressive Jackpot is 1 million coins guaranteed. This is something dreams are made of right here; the sheer class of the jackpot alone is enough to play this slot on a daily basis. Players with a horse show next to their computer will need its luck once more as If they’re lucky enough trigger the progressive, they need to choose a side (Batman or the Joker) and spin the jackpot wheel to reveal the their fate. It would be heart breaking to get that far and choose the wrong side; however what can’t be disputed is how exciting the prospect is for spinning that wheel for the 50/50 chance would be. In terms of the standard game, players must keep an eye out for Batman and the Joker awarding random cash prizes, wild reels and extra wilds. In between all the commotion, The Dark Knight features Cinematic Spins whenever winning combination is landed. As a result, this helps with the overall feel of the game and gives players the chance to experience the Dark Knight just how it was supposed to be shown, almost like a free pass to the cinemas. 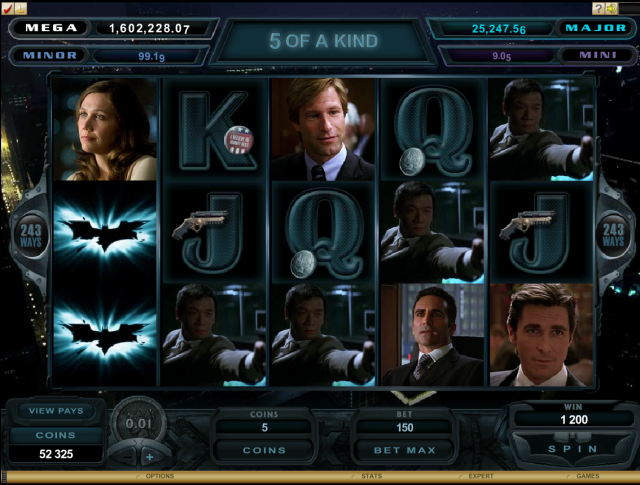 The Dark Knight wouldn’t be complete without the popular free spins feature. This is triggered by hitting 3 or more Joker scatter symbols anywhere across the reels and as a result players are rewarded with 15 free spins with a 2x multiplier. That’s not all, Batman and the Joker can appear randomly to award lucky players with extra free spins or to increase the multiplier up to a massive 5x. This can really boost your winnings in this bonus round. Luckily, I got a 5x multiplier which gave me a nice return. The free spins round is the part of the game players should be most excited about as it is the place where the big money is won, and on top of that they will be entertained every step of the way.